Two fabulous choirs in one concert. An evening of uplifting and entertaining music, featuring varied songs from Gabriel Fauré to Elton John. 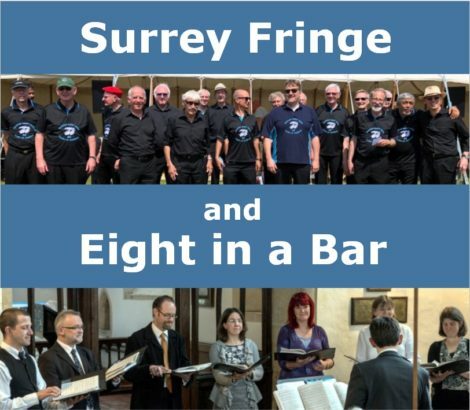 7:30pm on Friday 8th March featuring Surrey Fringe, a barbershop group from Guildford, and Eight in a Bar, a small choir from the Chipping Norton area. Tickets are £8 (£3 for 18s and under), available from Bernard West (01993 831242 or [email protected]) or on the door, in aid of the John Radcliffe Hospital Neurosciences Ward and the Wychwood Benefice. Please come, and do spread the word!